Meet the 2017 AdLib Leadership Team The 2017 AdLib Conference is scheduled to take place March 2-3. 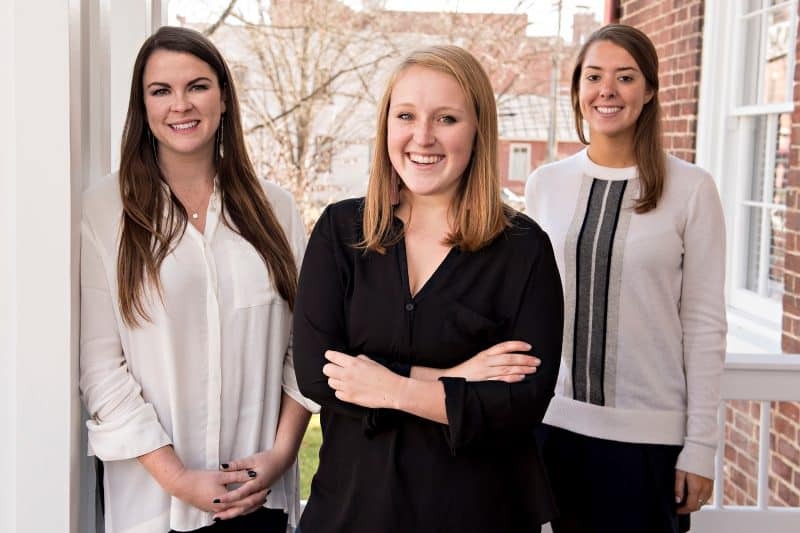 The 2016 AdLib leadership team consists of Camille LeJeune, Liz Tarry and Isabelle White. Washington and Lee University’s AdLib Conference was founded in 2011 to bring alumni in the marketing and advertising fields back to campus, where they can offer real-world advice, trends and lessons to current students. The 2017 AdLib Conference is scheduled to take place March 2-3, and although the guest alumni have not yet been announced (look for that information after the turn of the year), the student leaders involved in organizing the conference have been hard at work for a long time. Co-leaders Liz Tarry and Camille LeJeune say the work has been difficult at times, but the project has also been very exciting and rewarding so far. Alongside the co-chairs, Isabelle White has been in charge of media and brand strategy for the conference. “The work we put in all of this semester and next culminates into the two days that will be the AdLib conference, and I can’t wait to see how it turns out,” White said. To read more about Tarry, LeJeune and White, click on their individual Q&As below.